Worries Do Not Belong To You! The basic tenet of Advaita-Vedanta is that our original nature, the nature of the Self, is Sat-Chit-Ananda-Nityam-Purnum. Sat means Existence. Chit refers to Consciousness. Ananda means Bliss. Nityam mean Eternal. Purnum means whole or complete. These are not qualities of the Self but its very nature as One monolithic whole. The Self is One without a second, A Mass of Conscious Bliss that is Eternal and Whole. When we experience the Self, we see that the ancient sages were very precise in describing our nature. It is unmistakable and leaves no room for any thought or doubt. Sages teach us that what comes and goes is not our true nature. What is transient has no permanent power or hold on us. Although we view our personality as made up of mental traits and thoughts, Advaita teaches us that even our mind and thoughts are transient as they are constantly undergoing change. If our identity is based on mental fluctuations, suffering is the natural result. Sri Ramana, the Sage of Arunachala, taught that through reflection, introspection, and self- inquiry, we can see through our mental conditioning, be free of it, and go beyond it. Then we see that what comes and goes is not our nature. 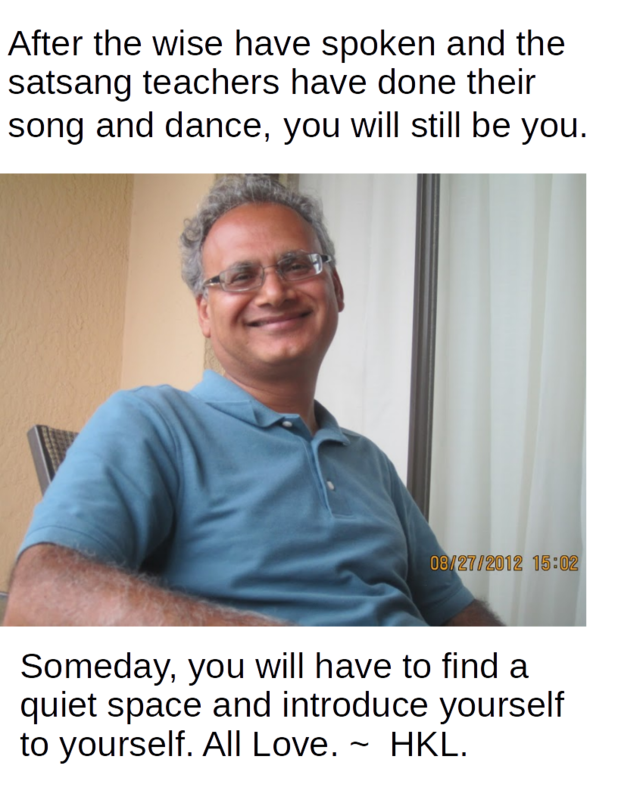 Here is a conversation with Sri Ramana and a visitor to illustrate this point. A visitor said: “I suffer from worries without end; there is no peace for me…” Sri Ramana asked: “Do these worries affect you in sleep?” The visitor admitted that they did not. Sri Ramana then said: “Then surely those worries do not belong to you. It is your own fault if you assume that they are yours.” (From Maha Yoga by K. Lakshmana Sarma). Wonderful post! Please check this out and thank you, Harsh Luthar!